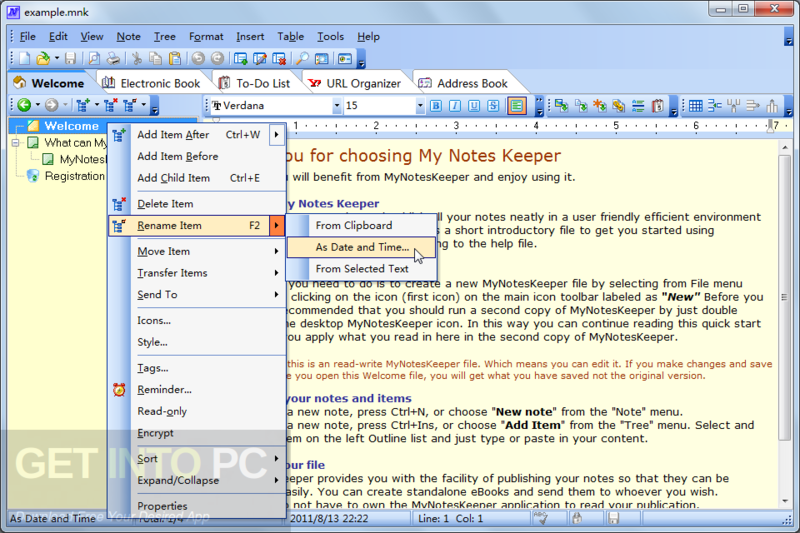 My Notes Keeper Free Download Latest Version for Windows. 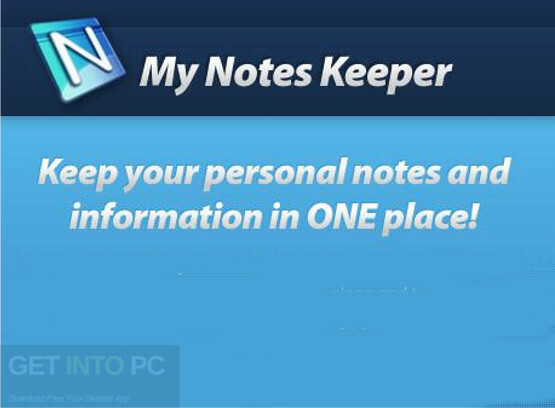 It is full offline installer standalone setup of My Notes Keeper Free Download for 32/64. My Notes Keeper is a simple and reliable application which can be used for organizing your notes as well as to-do lists. You can store all of your notes and information at one place plus it lets you add, manage and edit your notes easily. You can also publish your writings easily. 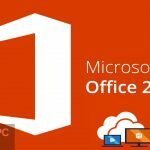 You can also download MS Office 2010 Portable. My Notes Keeper has got a very simple and user friendly interface. It will store your different notes in one file. You can easily insert time stamps and separator lines into your notes. 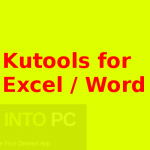 The main window of My Notes Keeper resembles older versions of MS Word which will help you in going through it easily as almost all of us are familiar with MS Word environment. This layout has been divided into three parts. 1St part is dedicated to displaying all the created items. 2Nd one allows you to insert and edit text and the 3rd one will let you create new files. 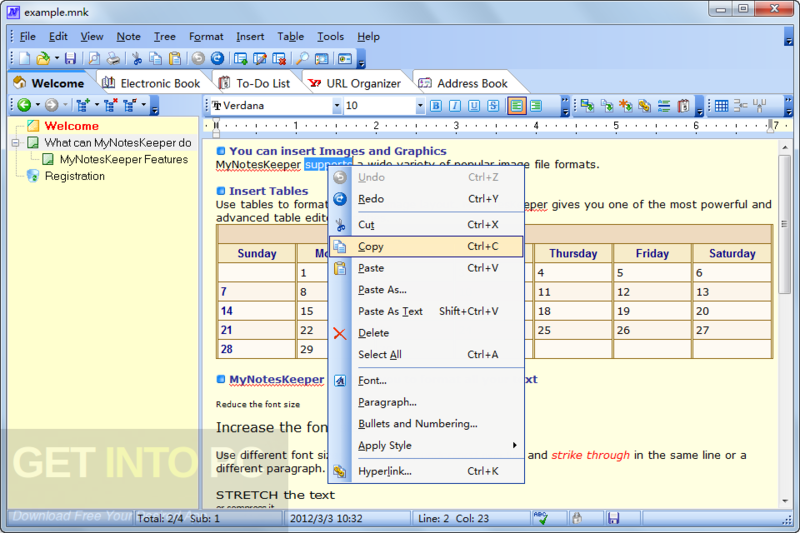 The text editor also lets you format the paragraphs by changing fonts, colors as well as adjusting the alignments. You can also insert the images bullets and tables into your documents. You can also attach new files as well as Flash animations into your documents. 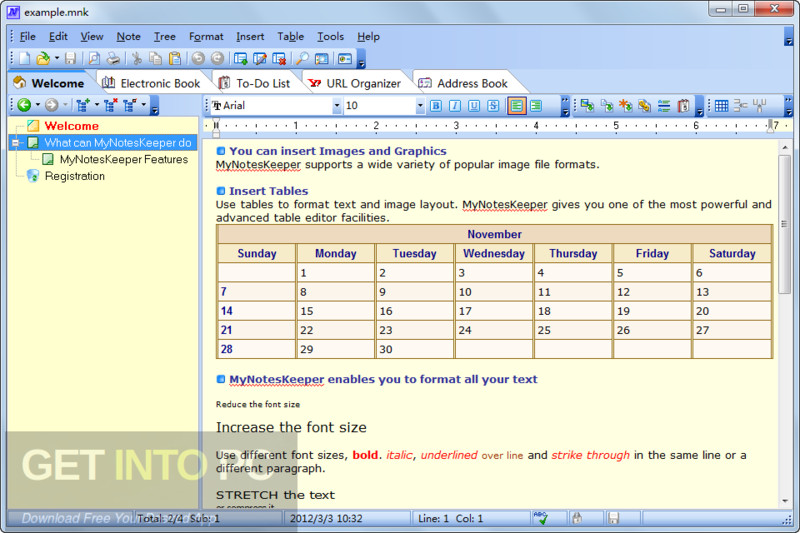 You can also manage templates and organize bookmarks. On a conclusive note we can say that My Notes Keeper is a handy application for organizing your notes. 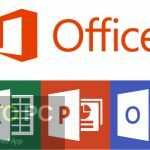 You can also download PROMT Office 10. Below are some noticeable features which you’ll experience after My Notes Keeper free download. Simple and reliable application for organizing your notes. Can store all your information at one place. Can publish your writings easily. Can add time stamps and separator lines into your notes. Got layout similar to MS Word layout. Can attach new files and Flash animations into your documents. Can manage your templates and organize bookmarks. 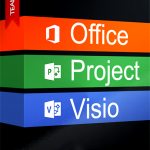 Fully compatible with MS Office. Before you start My Notes Keeper free download, make sure your PC meets minimum system requirements. Click on below button to start My Notes Keeper Free Download. This is complete offline installer and standalone setup for My Notes Keeper. This would be compatible with both 32 bit and 64 bit windows.